STRAIGHT talking Swindon boss Alun Rossiter is urging fans to turn out in force for their last meeting of the season on Thursday (7.30). 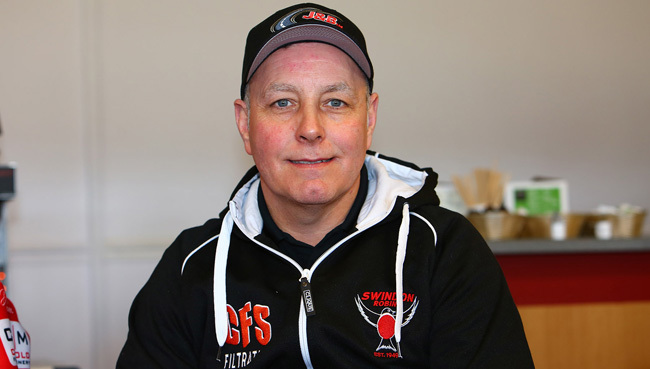 Rossiter has revealed how the Knockout Cup has cost them money this season – and he’s worried fans describing the Premiership clash with Belle Vue clash at the Abbey as a ‘dead rubber’ will mean another expensive night for the club. His forthright programme notes for the meeting reveal a few home truths and he admits improvements have to be made for next season after missing out on a play-off place. He said: “People will say it’s meaningless, a nothing meeting, but the reality is that if we haemorrhage £10k on it, that does have a major impact on our business for next year, and therefore it affects how we build our team. “If nobody turns up then fine, but if next year we aren’t battling for play-offs because we’ve been financially drained this year, then that’s a big factor. “Sometimes it’s all about supporting your team, and this is a league match which needs to be completed. The meeting will also be the last one on the current Abbey Stadium track with club chairman Terry Russell revealing on Tuesday relevant permission for work to start on a new circuit on the existing site is expected soon.